Today, I have three of my ini-mini, short first impressions for you. These are books that I've read, or attempted to read, but didn't share with you at the time. In a Latin American port city during colonial times, a young girl named Sierva Maria de Todos los Angeles the only child of the ineffectual Marquis de Casalduero is bitten by a rabid dog. Her father, who has shown no interest in the child, begins a crusade to save her life, eventually committing her to the Convent of Santa Clara when the bishop persuades him that his daughter is possessed by demons. In fact, Sierva Maria has shown no signs of being infected by rabies or by demons; she is simply being punished for being different. Having been raised by the family's slaves, she knows their languages and wears their Santeria necklaces; she is perceived by the effete European Americans around her as "not of this world." Only the priest who has reluctantly accepted the job as her exorcist believes she is neither sick nor possessed but terrified after being inexplicably "interred alive" among the superstitious nuns. A couple of months back I picked up Del Amor y Otros Demonios by Gabriel Garcia Marquez (Of Love and Other Demons) again, Marquez' last work of fiction written in 1996. I've attempted reading this short work twice before and haven't been able to get past the 30th page. This has nothing to do with the quality of the writing, instead I'm affected negatively by the content because of personal baggage. This time I got as far as half-way through the book before going to bed and had nightmares. I didn't have the heart to pick it up again the next day. Maybe later on I'll see if I can finish it, get rid of that baggage, just give it a push, have one more nightmare and see how it all ends. LOL! 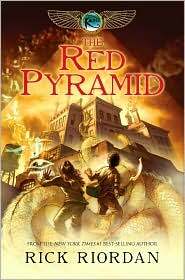 The Red Pyramid by Rick Riordan is another book I read a while back. A buddy review with Nath is on the works for Breezing Through. This is definitely a fast paced adventure and quite exciting. A story about a brother and sister of mixed ethnic background who lose their father and suddenly find themselves in the center of a battle between worlds and gods. There's magic, Egyptian-based mythology, gods, and enough creepy crawlies to make this a really fun read. The premise is similar to the Percy and the Olympians series, but that's about it. The rest is quite original and I didn't feel as if I were reading the same books. The kids are great and different. 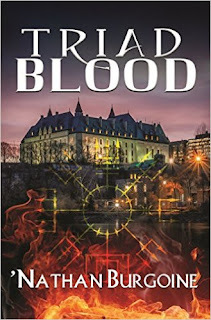 The situations and villains are dangerous and the action and pace make this 516 page book seem short. Hils, I'm so sorry about the buddy review ^_^; Sigh. I'm just stuck, sigh... Maybe next year? LOL. 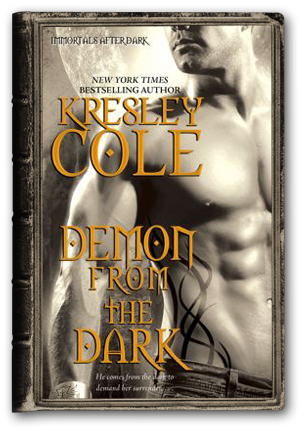 Hmmm, Kresley Cole's books are hit and miss. I mean, some are really much better than others and some are also more attractive than others... and Demon from the Dark, I have to say, falls in the less attractive :( Result? I still haven't picked it up... now, I still have the mental image from CindyS and you're telling me you didn't like the heroine... by the way, what kind of name is Carrow? RE: This series by Kresley Cole. I agree with you in that some books are better than others. Demon from the Dark is not a favorite with me, although as you can see I did like the unusual hero in this story. Carrow is an "all right" protagonist as well, she had reasons for her actions... I guess I'm tiring a bit of that superior Valkyrie attitude at this point. Did it affect your reading of the book, the mental image from Cindy's? Cos hey, if you fell in love with Malkom despite that, maybe it's worth a try LOL. Hils ~ I admire your courage but I'm also tempted to tell you to let that Marquez book go. I'm not sure if nightmares are worth it but only you can say if they are. Either way, good luck! Good for you for completing Orannia's challenge! Leslie, I know what you mean about the Garcia Marquez book. I would have given up with any other book already. But has become a personal thing with me and I'm determined to get over it and just finish this book. LOL! RE: Cole series. That just tends to happen with long series, right? I have hopes for Nix's book!